`I have a truly marvellous demonstration of this proposition which this margin is too narrow to contain.' It was with these words, written in the 1630s, that Pierre de Fermat intrigued and infuriated the mathematics community. 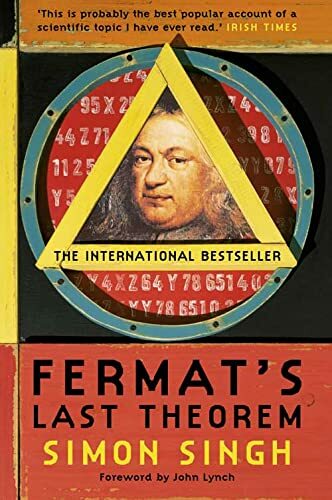 For over 350 years, proving Fermat's Last Theorem was the most notorious unsolved mathematical problem, a puzzle whose basics most children could grasp but whose solution eluded the greatest minds in the world. In 1993, after years of secret toil, Englishman Andrew Wiles announced to an astounded audience that he had cracked Fermat's Last Theorem. He had no idea of the nightmare that lay ahead. In `Fermat's Last Theorem' Simon Singh has crafted a remarkable tale of intellectual endeavour spanning three centuries, and a moving testament to the obsession, sacrifice and extraordinary determination of Andrew Wiles: one man against all the odds.